Looking to stand out from the crowd? 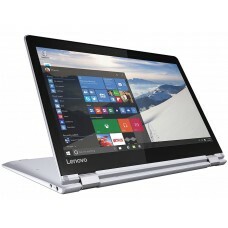 Feast your eyes on our cheap ex-demo Yoga 710 laptop - one of the world's lightest convertible laptops. This premium 11" device has an edge-less display for vibrant, clean visuals, a magnesium and aluminium blended chassis for enhanced durability, and a longer life battery for marathon movie sessions. And with plenty of storage and enhanced surround sound, it has everything for your on-the-go lifestyle.